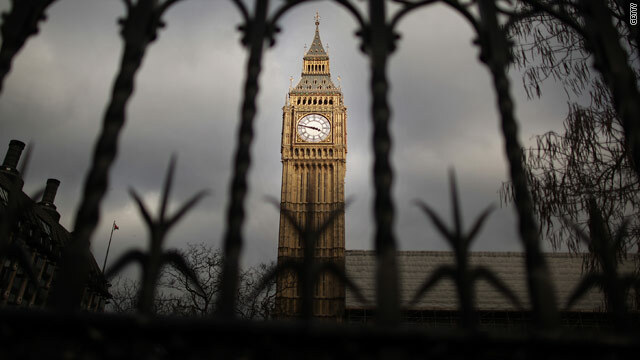 British lawmakers are not due back to the Palace of Westminster until May 24. 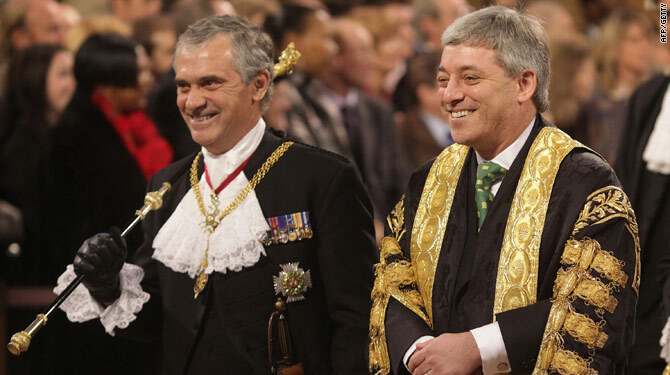 London, England (CNN) -- The British parliament was officially dissolved on Monday, as a nationwide election campaign launches to determine if Gordon Brown can hang on as prime minister. The opposition Conservative party, led by David Cameron, has consistently held an edge in recent opinion polls, but it is not clear that Cameron has a big enough lead to dislodge Brown. Elections take place on May 6. Brown's Labour party has been in power for 13 years, first under Tony Blair and, since 2007, with Brown as prime minister. Video: Hung parliament in UK? Brown is hoping to lead Labour to an unprecedented fourth consecutive term in office. Under the British parliamentary system, voters choose a member of parliament from each of 650 constituencies, or districts. The party with the most seats traditionally gets the first chance to form the new government. Queen Elizabeth II, as head of state, formally dissolved parliament on Monday, a procedural step. "MPs immediately revert to being members of the general public and lose all the privileges associated with being a Member of Parliament," Parliament's Web site says. "They are allowed access to Parliament for just a few days to remove papers and equipment from their offices. But all MPs' services and facilities are closed at 5 p.m. on the day of dissolution," the site says. "Government ministers remain in charge of their departments until after the election result is known," according to Parliament, but do not make any major policy decisions. The new parliament is due to take office on May 24.